This book is under development (Spring 2017). When finished, it will contain the full text of Lessons in Truth as published in 1895, annotations and footnotes, commentary and sub-headers to the text. The goal is to provide a self-contained edition for students preparing to study the Unity Correspondence School Lessons. Go here for current or more recent editions of Lessons in Truth. In the last decade of the nineteenth Century, three little paperbound pamphlets were published, each bearing this cover design. 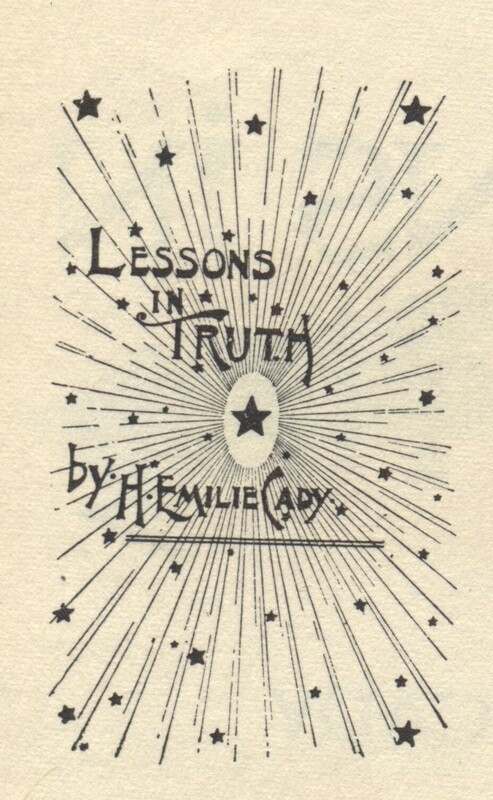 The Pamphlets represented the first appearance in "book form" of a series of twelve lessons that had been printed serially in Unity Magazine. They were the forerunners of literally millions of copies of the book Lessons in Truth, which became (and still is) Unity's basic text-book. The present edition is printed from photographic plates made from the original 1895 printing. Occasionally you will find some broken type; there are some typographical errors, too. We have not changed these, nor anything else. 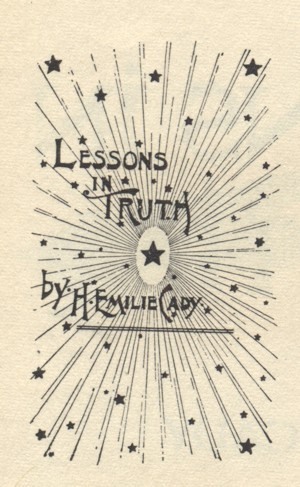 Except for the study guide at the end of this book, what you hold in your hand is the authentic, original Lessons in Truth, exactly as it came from Dr. Cady's pen almost ninety years ago. It is a book that fits Helen Keller's description of "a ship that bears us away from the fixity of our limitations into the movement and splendor of life's infinite ocean."